A concept for a music video for Lady Gaga's Mary Jane Holland. The music video concept is composed of 3 different setting. 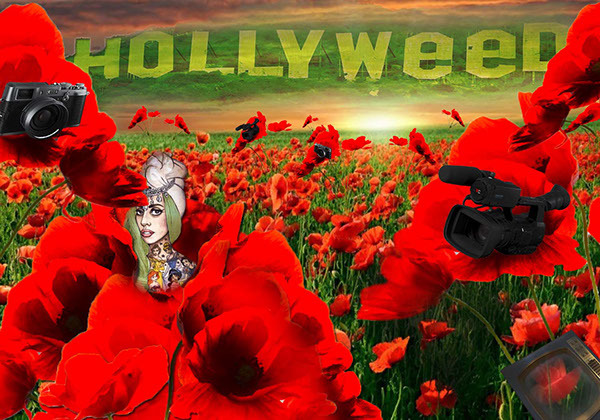 It first starts off as Lady Gaga hiding from the paparazzi in Hollyweed. She hides in fields of poppies and hears of tale of a magical forest that will change her from an animation cartoon into a live human thus making her unrecognizable to the paparazzi. She ventures off to forest and becomes Cannabis Princess ( Princess High). She is joined by various iconic cartoons but realizes that she has consumed too much cannabis. She turns from a princess into a monster, the dope monster. 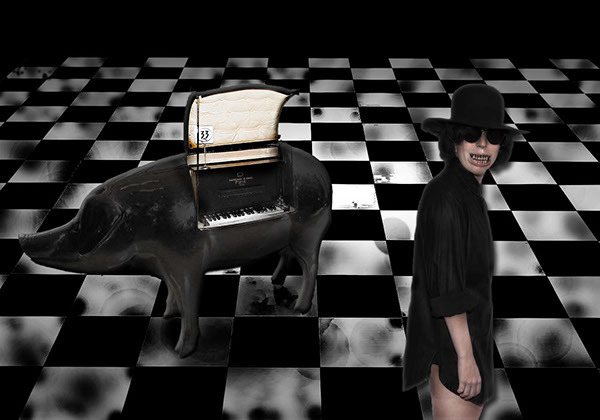 She plays her swine piano in a room of black ashes. She hope of becoming the girl she once was. This concept was created by using Adobe Photoshop.